AA Turner Builders is a Melbourne-based building company specialising in the construction of Catholic and Government Schools, Public Housing, Local Government, Churches and Commercial Structure contracts. 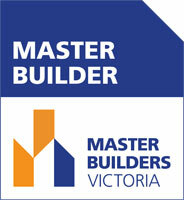 With more than 35 years’ experience in managing small to medium building projects, our team of highly-qualified tradespeople has earned a reputation for excellence when it comes to providing outstanding service and superior finishes. We have an impressive record and a commitment to exceeding expectations and meeting deadlines that’s unparalleled in the building industry. Why choose AA Turner Builders for your next building project? We have the expertise and capacity to deliver projects in the $100,000 to $3,000,000 range and we provide exceptional two-way communication with architects and clients and within our management team. At AA Turner Builders, we don’t just build buildings. We listen. We understand. We care.